* These stylish earrings are sure to catch the eye of even the most hard-to-please fashionista. * Made with delicate strings of AB crystals, they are perfect for any prom, pageant, or homecoming. * Are you ready to dazzle at your next prom or pageant? You will be in these stunning dangle earrings! 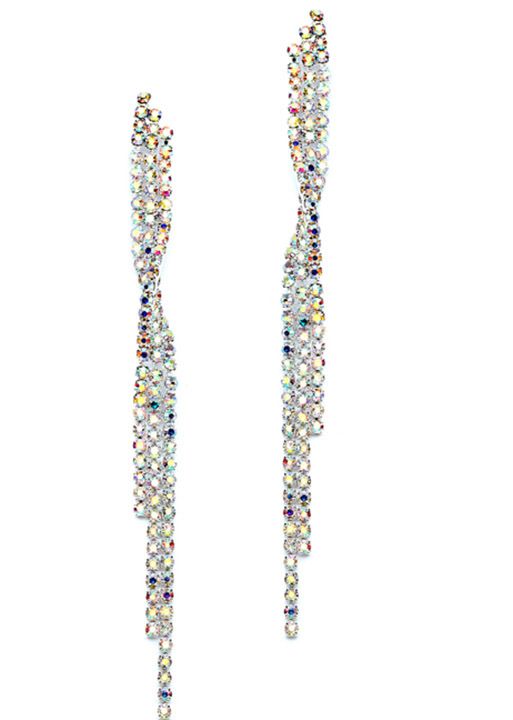 * With 3 3/4" h x 1/4" w of iridescent rhinestones, this earrings are sure to keep all eyes you all night long!